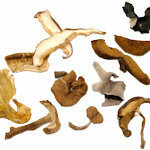 Drying mushrooms is a way to keep the longer and thus more readily available. 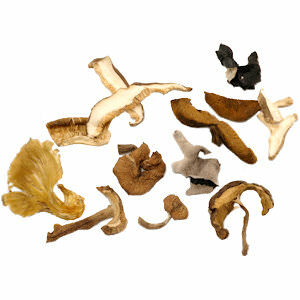 The drying process intensifies the flavor of the mushrooms and because they are dry, they can be kept for a relative long time, which makes them readily available and for every day use. This Chef's Mix consists of sliced oyster mushrooms, shiitake, king oyster mushroom, in equal amount and 10% porcini mushrooms.